TAKE ME WITH YOU WHEREVER YOU GO! As you know I am with you all the time, but this summer I would love for you to be with me. Please take me around with you and show me some of the special things you and your family are doing this summer. It would be fantastic if you could take pictures of me with you at different places you visit. If you use social media, you can share your photos by posting the picture and using the hashtag #1stFlatJesus. If you aren't on social media, that's fine too, we have many other ways to sharing our journeys together. Just email pictures to the communications director at 1st, chensley@1stchurch.org, and he'll take care of it. This is shaping up to be an exciting summer and I am so happy I will be spending it with you, your family and your friends. P.S. 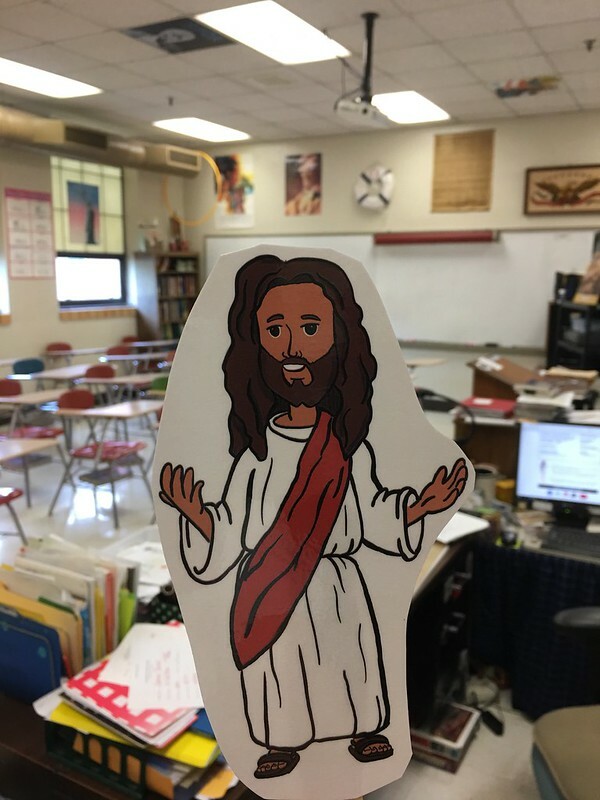 Click below to see our Flikr Album of where Flat Jesus has been spotted.